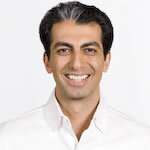 Dr Kia Pajouhesh is the principal dentist and managing director of Smile Solutions. Kia graduated with first class honours in both Science and Dentistry from the University of Melbourne, having been awarded the WJ Tuckfield prize for prosthodontics. It was a traumatic early experience as a dental patient that motivated Kia to make a career of dentistry, pledging that no patient should have to go through what he did. He practised as a general dentist at a private practice before taking the ambitious step of founding his own practice, Smile Solutions. Starting out with just eight patients in 1993, he has since grown this patient base to more than 85,000 clients. Now with over 25 years’ experience in dentistry, Kia remains dedicated to exemplary patient care and providing the treatments his patients seek. He strongly believes patients should be presented with options for their dental treatments and outcomes and that they should be given a framework within which they can make choices. He has instilled this approach in all of Smile Solutions’ clinicians, so that – despite the ever-burgeoning size of the practice – each and every patient is given individual attention. An original and creative thinker, Kia has pioneered a range of mould-breaking firsts in the dentistry sector, including setting up the only genuine multidisciplinary specialist centre outside any Australian dental hospital; educating the public in expert oral care and dental costs via bespoke videos and websites; and opening Melbourne’s first orthodontic shopfront, the Invisalign shop in Collins Street. Kia’s unique business model combines excellence and convenience of patient care and treatment modalities with a sublime aesthetic environment equipped with the most sophisticated technology available. It is this trailblazing formula that has made Smile Solutions the favourite dental practice for tens of thousands of Melbourne residents and visitors, as well as a desirable place to work for the most talented clinicians. In another first, Kia secured for Smile Solutions “official dentist” status with several prominent sporting organisations, including the Australian Open and the Collingwood Football Club. These agreements, which see his practice providing emergency and normal dental services to players and staff as well as their respective families, are of particular value when in-house specialist services are required and prompt recovery is a key priority. Kia is dedicated to giving back to areas beyond dentistry. 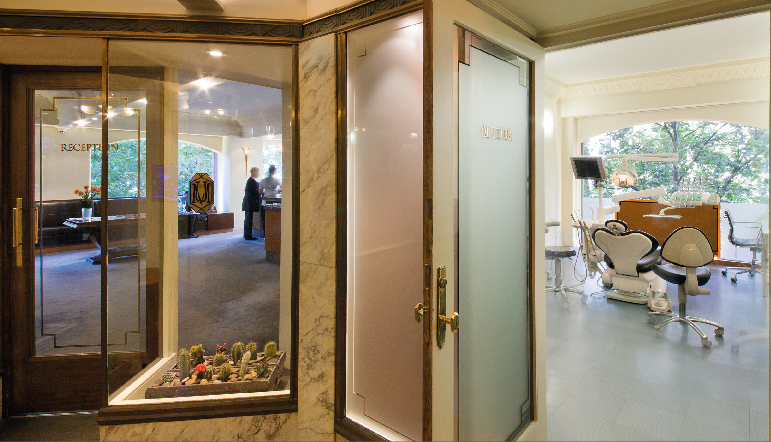 Since relocating his business to the Manchester Unity Building in 2003, he has expended considerable resources on a painstaking restoration of Melbourne’s best-loved art deco edifice, thereby contributing to a preservation of Victoria’s heritage. He is also a proud supporter of numerous charities, dedicating his business’s time and resources, as well as his own, to the Magpie Nest Foundation and the Ovarian Cancer Council, among other initiatives. Today, Kia divides his time between focusing on the clinical care aspect of his business, the science and technology of dentistry and the management side of operating a large-scale, multi-award–winning dental practice. This includes leading frequent educational and motivational seminars for his practitioners. He is also involved in various new-graduate talks at the University of Melbourne and mentoring other businesses, coaching principal dentists of some 200 dental practices both locally and internationally. He strives to educate the public and his peers through continually publishing articles on advances in dentistry and practice management. In recognition of his own personal drive, Kia was nominated for the prestigious Ernst & Young Entrepreneur of the Year awards in 2015, while Smile Solutions took out the coveted title of Victorian Telstra Business of the Year in July 2014 due to Kia’s innovative approach to dentistry.